When sleeping outside became recreational, and why it’s more important (and more awesome) than ever for kids, families, and adults to get into the woods. Whether or not you consider yourself “a camper”, there is something that draws the Royal We to the outdoors for hours and days of bedless, heatless, showerless, kitchenless, star-filled and convenience-free camping. In fact, over 42 million Americans go for it every year. 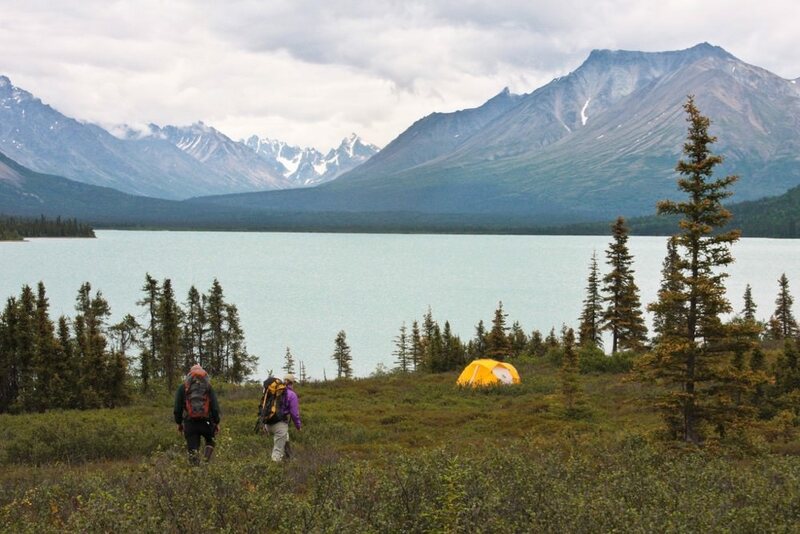 Camping in Lake Clark National Park, Alaska. Image Credit: NPS Photo/K.Jalone. Licensed under CC BY 2.0. One might assume that the history of camping gets its roots in thousands of years of marching armies, nomadic peoples, and human migration. But let’s talk modern day. When did We decide good things would happen if we packed up the Winnebago in search of a patch of wilderness for the weekend? When did camping become less necessary and more fun? The National Park Service was actually late to the game, not having established official camp sites until the 1930s. 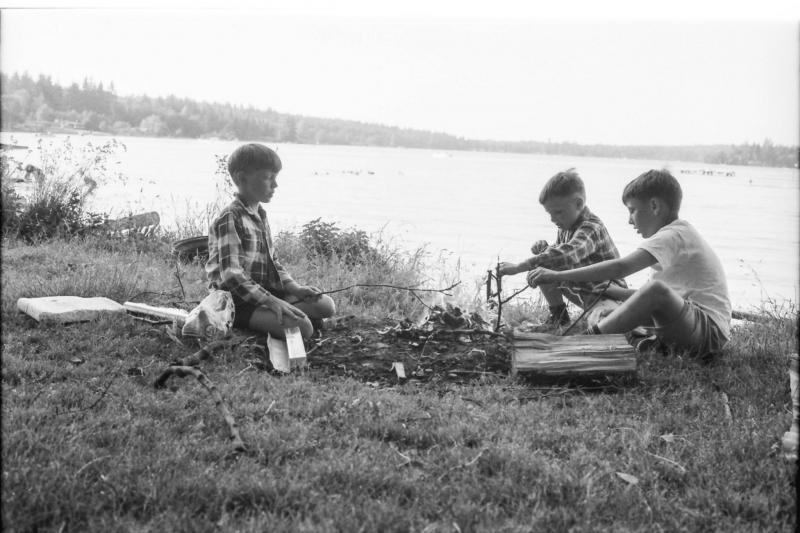 The first-ever campground in the United States was founded in Connecticut in 1861 and called Gunnery Camp, after the owner of a boys school who would take his wards hunting, fishing, cooking, canoeing, and observing nature for two weeks as part of their education. This education model is used all over the country today, often developing some of the fondest of childhood memories. Next the ladies got in on the fun, when the YWCA established “Sea Rest” in Pennsylvania, catering only to women. Interestingly enough, men didn’t realize what they were missing for eleven more years, finally establishing a YMCA camp in New York that is still in operation today. 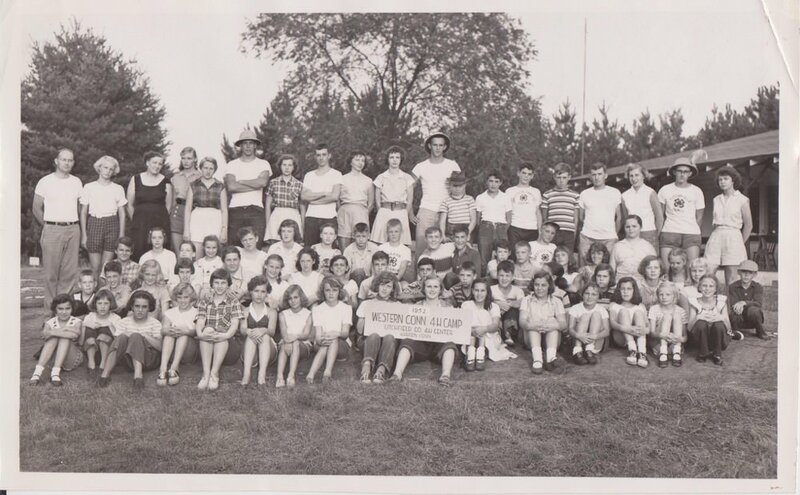 Western Connecticut 4H Camp, 1952. Image Credit: rickpilot_2000. Licensed under CC BY 2.0. The father of recreational camping, Frederick W. Gunn, was also a teacher, an abolitionist, and generally just a thoughtful dude. Today we take the character-building component of camping for granted, but in 1861 this was truly a novel idea. Mr. Gunn recognized that his students needed more than just the classroom education that his school, The Gunnery, was providing. Even then, Frederick Gunn saw that his students needed more time outdoors, and children (and adults for that matter) are spending more time inside than ever. According to the Environmental Protection Agency (EPA), the average American spends 93% of their life indoors. *Groan. But, there is hope. A 2007 study conducted on 4-H camps asked children of various ages to rate themselves on several factors before and after camp. Kids rated themselves higher across the board, but the highest growths were in responsible citizenship, accepting differences, and the marketable skills of accepting responsibility and contributing as a member of a team. How, specifically, does getting outside and away from parents accomplish this? The Camping and Education Foundation brings it home nicely. Camp teaches critical thinking. Strong problem-solvers are key to the success of our communities and our planet. At camp, kids are given the opportunity to relate the science, math, reading, writing and biology skills they learn in the classroom to nature. At camp they relate, connect, empathize and are inspired to innovate. 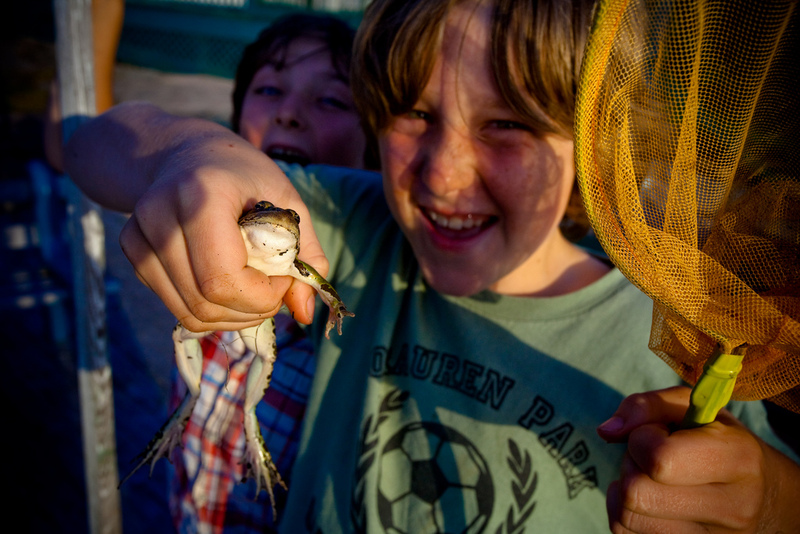 Camp helps kids learn to embrace the natural environment. If we want future generations to care about protecting the planet, they need to experience it. Get outside, get dirty, catch a frog, get lost and caught in a rainstorm. Experiencing the elements allows you to understand their importance. Camp has a lasting impact. Give a child a sense of success and achievement. Camp teaches kids how to be active participants, ask questions, ask for help, and try new things. Learn that it’s okay to feel a little uncomfortable sometimes, because that’s what happens when you learn by trial and error. Camp embraces an “I can” attitude. Image Credit: Mark Surman. Licensed under CC BY-ND 2.0. For all of the reasons above and more, it’s great to send your kids away to camp. But this doesn’t get you off the hook. Camping as a family can be just as important to the growth of your child and for you (yes, you) too! It’s Family Vacation on a Budget. Camping is far cheaper than staying in hotels, and family car trips are usually cheaper than airfares. It’s a good way to see much of the world without blowing the bank account. Although buying good equipment is a large upfront cost, it will pay off if you take good care of it. Teach Your Kids How to Find Camaraderie in Others. It’s easy to strike up impromptu friendships with people in a campground that, under normal circumstances, you might never speak to. It shows kids that most strangers are interesting people with unique backgrounds and fascinating stories that only seem to come out around a campfire. Break Out of the Daily Routine. There’s nothing quite like a family camping trip to shake things up, trigger new conversations, and create wonderful lifelong memories. It adds an element of adventure to life, and kids thrive on that, as do adults (even though we often forget it). Raise a Wild Child! Heck, BE a wild child. You were a kid once, too, with a fearless curiosity and a natural rejection to shoes. Get back there. Show your children that getting dirty, catching frogs, building a fire and managing a few bug bites is no big thing. Make a few mistakes along the way and run with it because, hey, people make mistakes. There’s something about camping that allows us all to get back to our inner kid, our Wild Child. A Bear in Tennis Shoes: Camping for Grownups! Image Credit: BLM. Licensed under CC BY 2.0. No, not “Glamping”, CAMPING. For all of the reasons camping is great for kids, it’s also good for grownups. Let’s start with health benefits. Studies show that the absence of artificial light resets our body clocks back to a natural rhythm that is more in sync with the rising and setting of the sun. The effects of this? A better night’s rest. You’re also looking at a boost in Vitamin D, more physical exercise, and less physical stress (think back pain from your office chair, eye strain from the computer screen, etc). It should be remembered that exercise and physical stress are not necessarily the same thing, folks. 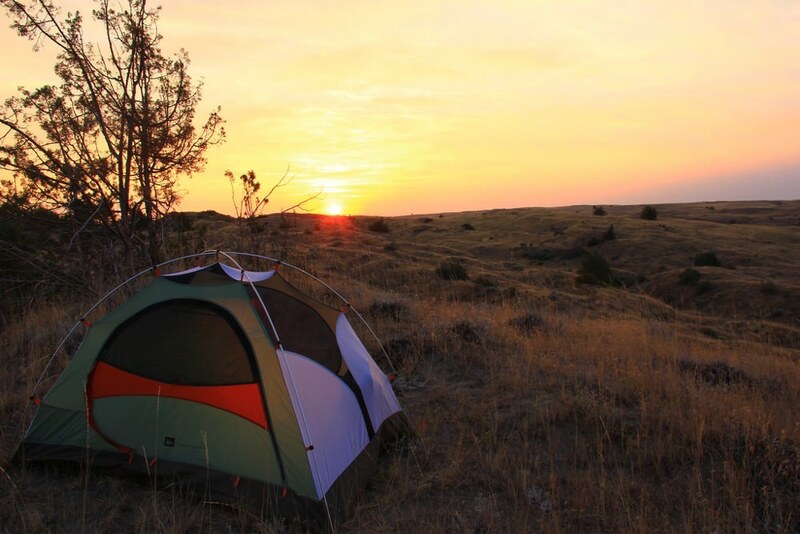 Improving your mental health is perhaps one of the best reasons to go camping. Physically separating yourself from work and home allows time for mindfulness, quality meditation and peace of mind. You’ll leave your campsite feeling a sense of accomplishment -- you guys, I (yes, I) built a fire and then cooked a pizza over open flame! The feeling of being calm, appreciating the simple things in life and dismissing unnecessary complexities allows one to have a more positive perspective in life. Camping grants you a rest from all of the emotional expenses of day to day life, and allows you the peace of mind to transfer that respite after you return. Reset your mind. As reported in the journal Psychological Science, those who had been on the nature walk had significantly better focus and attention than those who had been required to negotiate the city streets. Interacting with nature requires a different form of attention, and that the temporary switch-over allows us to replenish our abilities to concentrate. Getting into the woods and away from the hustle-and-bustle--and indeed away from the HDTV--actually equips us to cope better with the cognitive demands of daily life. It’s FUN! What is stopping you from grabbing a group of friends and snagging a quick weekend away? Fill up the cooler, load up on the bug spray and get ready to enjoy some quality time with your favorite people away from work, school, home repairs, road work or any other loud things in your life. Recall the challenges of cooking outside and embrace them, harden up the soles of your feet and take a bath in a lake (with biodegradable soap, of course). Bring the dogs and watch them lose their minds over how awesome camping is. There are multiple resources to help you discover the camping trip that is within your budget and your frame of mind. Car camping, deep wilderness, hiking, biking, canoeing, cabins, tents, yurts -- whatever your comfort level is out there. You just have to be ready to build a little character. Oh, and S’mores. ‘nuff said.